• Magic light turns on when cap is placed at back! 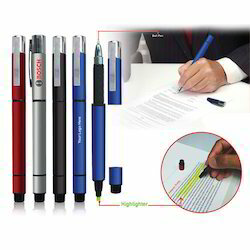 3 in 1 Pen with Stylus Highlighter. Can be customised with company's name / logo. 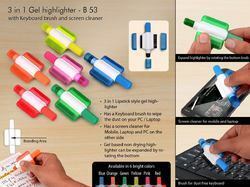 Positioned in the industry wholesaler we are engaged in offering Text Highlighter Pen. Our offered series of Highlighter Pen are immensely admired in the market for their finest quality and sturdy nature. QTY (PCS)/PACK: 10 PCS PER PKT.